If you are the 'Tortworth Vintage Rally' Two day Rally organiser and you would like to update or amend the details shown, please contact us. Thank you. When is the next Tortworth Vintage Rally? Saturday 10th to Sunday 11th August, 2019. 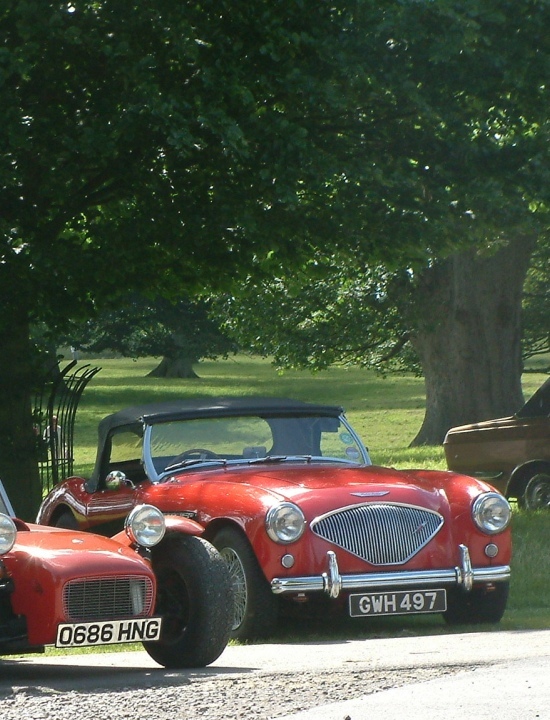 Tortworth Vintage Rally is listed under August 2019 Rallys. Although we try to keep the information for this event as up to date as possible, we cannot guarantee that things haven't changed at the last minute, and we haven't been informed. Therefore, please contact the 'Tortworth Vintage Rally' event holder directly to confirm all details (especially event name, dates and location) before setting off to Wotton-under-Edge. The Tortworth Vintage Rally is planned to take place at Showground off the B4509, Wickwar, Wotton-under-Edge, Gloucestershire, Saturday 10th to Sunday 11th August, 2019. You may reach the event organisers on 07808 17 3400. Vintage & Classic Cars, Motorbikes, Tractors, Commercial Vehicles, Stationary Engines, Displays, Fair Organs, Children's Fairground, Trade Stalls, Arena Events, Bar & Refreshments. Appearing all the way from Holland, 'Victory' the worlds largest travelling concert organ with spectacular evening concert and film show,.